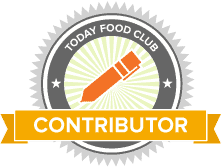 This is a sponsored post on behalf of Great Day Farms Hard-Boiled Eggs. All opinions are my own and yours may vary. 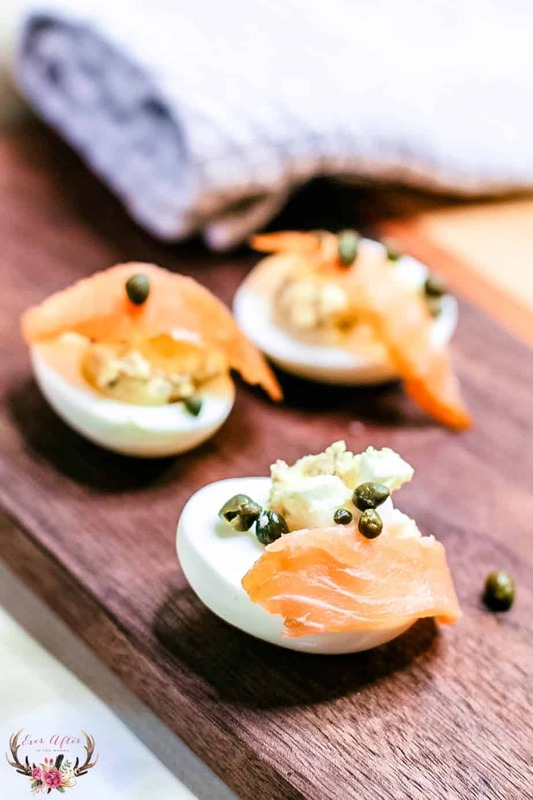 Start the New Year off right with these delicious Great Day Farm Hard-Boiled Eggs with Salmon and Capers. 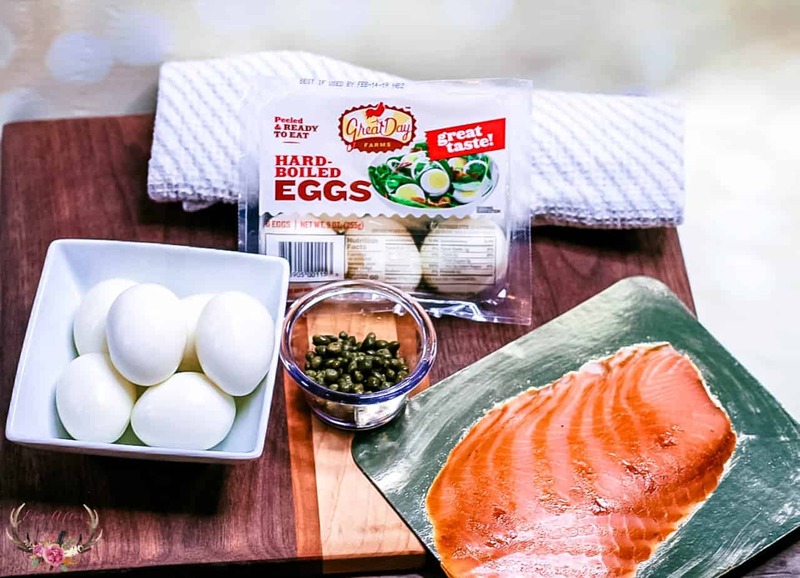 We love following a low carb, high protein diet and the salmon topped eggs are the perfect breakfast or lunch option. I am all about convenience when it comes to food prep. 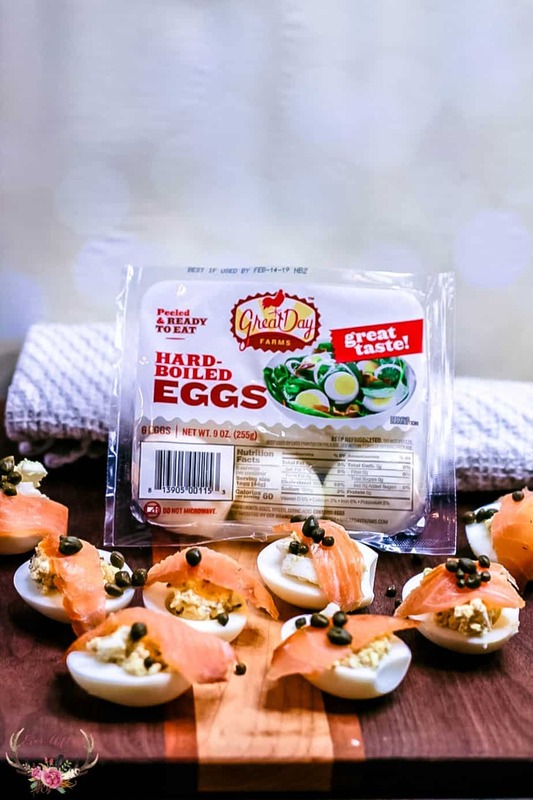 This recipe for salmon topped eggs is easy and super convenient with these ready to use hard-boiled eggs conveniently located in the deli section at Walmart. Cut the eggs in half and scoop out the eggs and place in a bowl. Add the mustard to the egg yolks and combined. Top with smoked salmon and a sprinkle of capers. 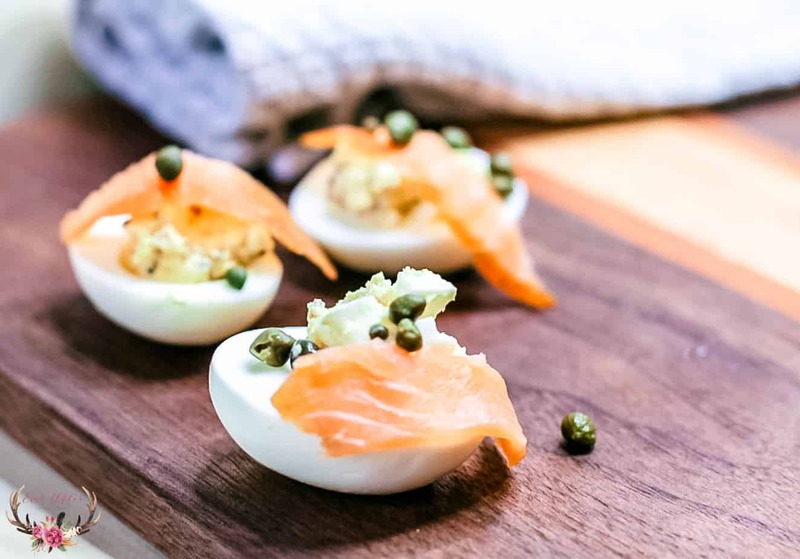 This recipe is so easy and you can easily pair these eggs with a salad for lunch. 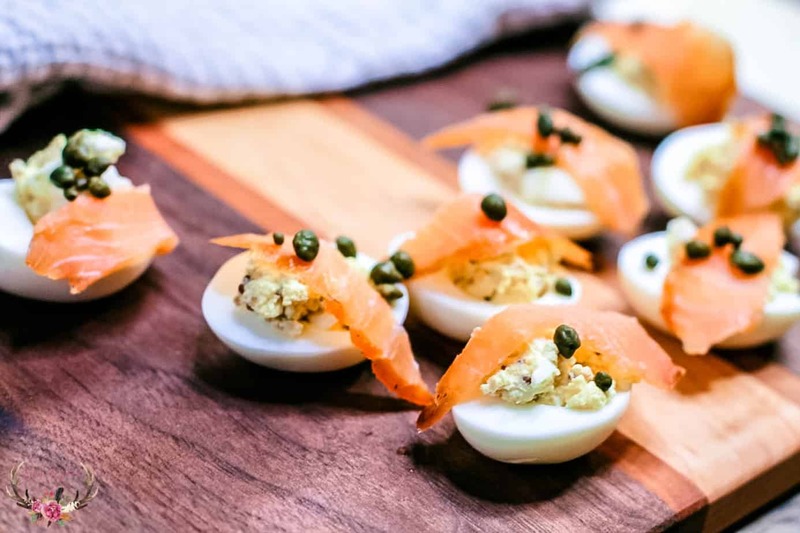 They would also make a great appetizer for game day and brunch parties as well. 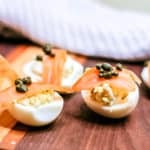 The possibilities are endless and I love how easy and convenient this recipe for Salmon Topped Eggs with Capers can be with items that you can keep on hand in your pantry and refrigerator. These eggs didn’t last long in our house, that’s for sure! 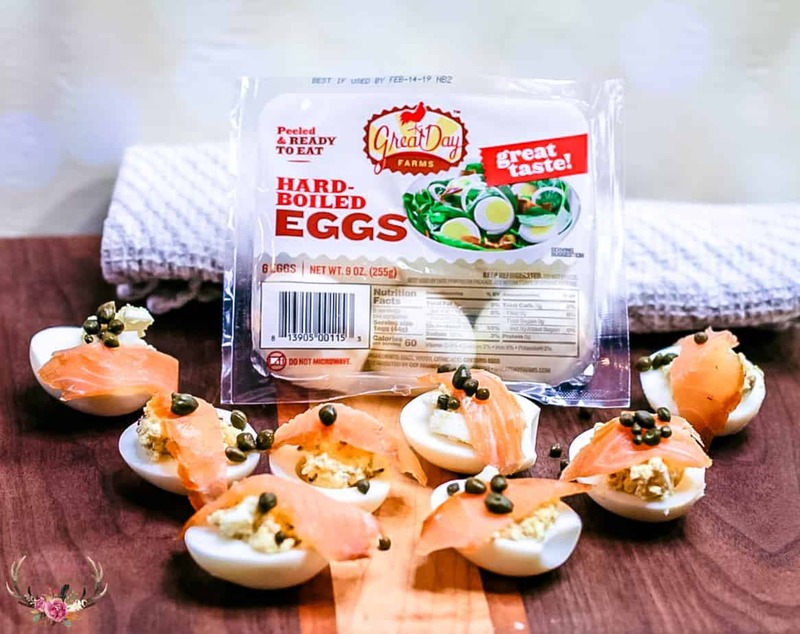 Now save with the purchase the 2-pack or 6-pack of Great Day Farms Hard-Boiled Eggs using the Ibotta offer. Earn $0.25 off of the 2-pack and $0.50 off of the 6-pack when you purchase at Walmart. 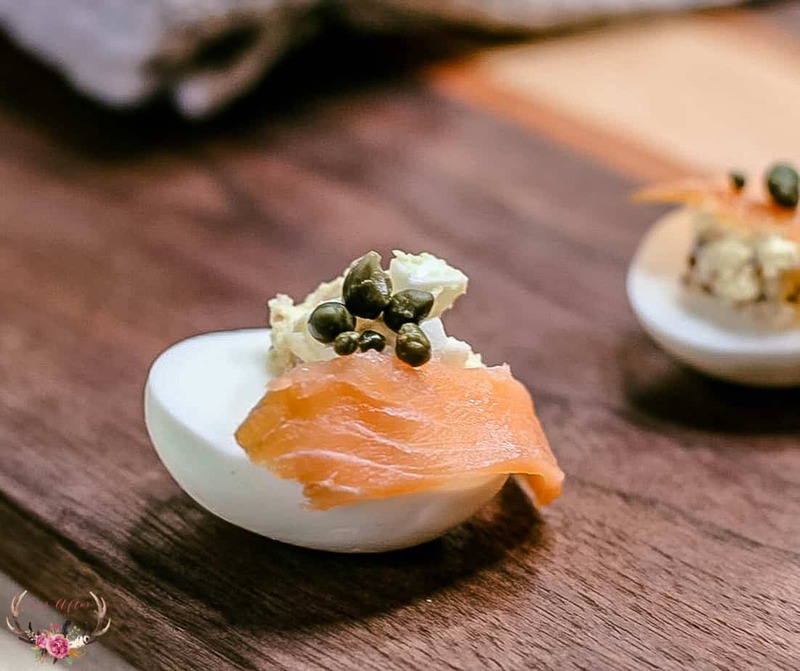 Make your meal prep easy with these Hard-Boiled Eggs as they are a great source of protein. I place the 2-pack in a lunch bag to have as a snack that I can feel good about having. 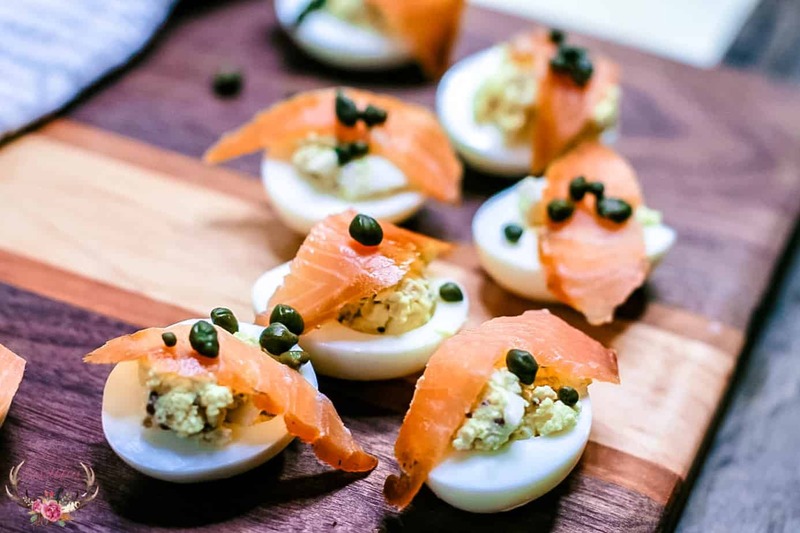 Whether you are invited for a dinner party or get together, make these salmon topped eggs with capers to bring. This way you know that there will be a good for you option wherever you go. 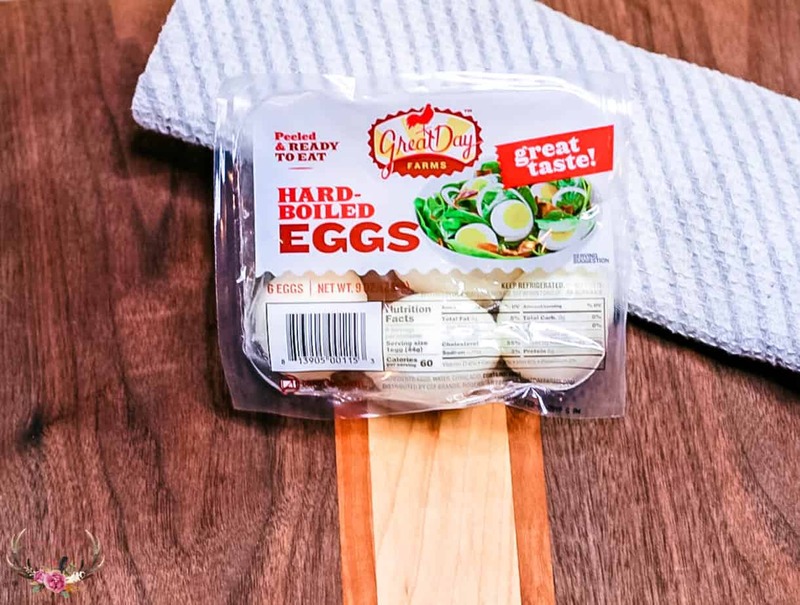 Be sure to pick up these Great Day Farms Hard-Boiled Eggs on your next shopping trip to Walmart and make your healthy goals and meal prep easier this year.